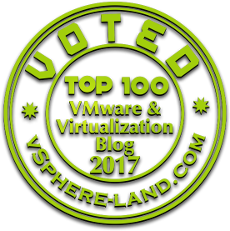 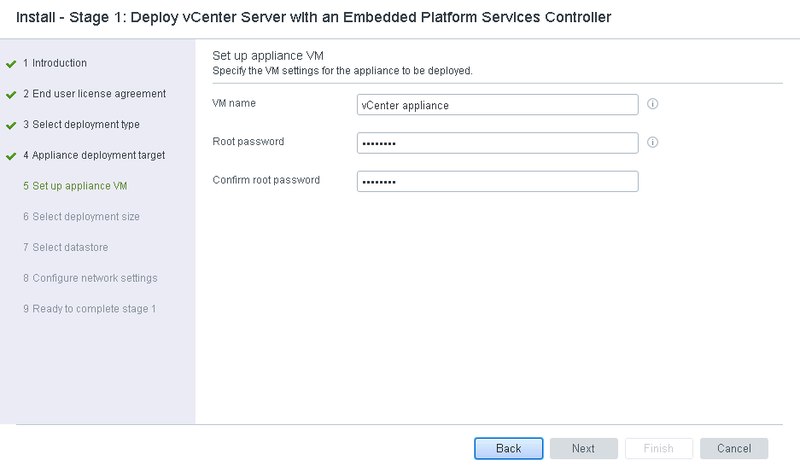 As we are aware that VMware announced General Availability of VMware vSphere 6.5 on November 15 2016 and it provides a lot of cool features and functionalities that has been enhanced in this release, have dedicated couple of articles talking about the new features in vCenter Server 6.5 10 Things we need to know about vCenter Server 6.5 and also discussed about the various clients The Respective Clients we can make use of in VMware vSphere 6.5 to connect directly to our ESXi host and to connect to vCenter Server. 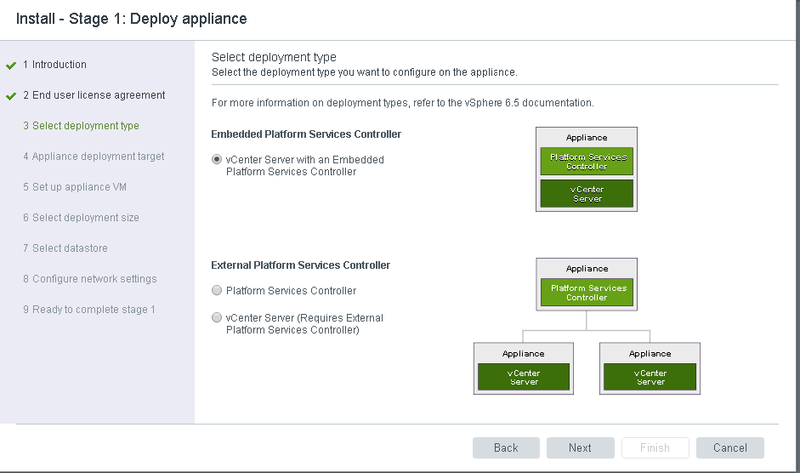 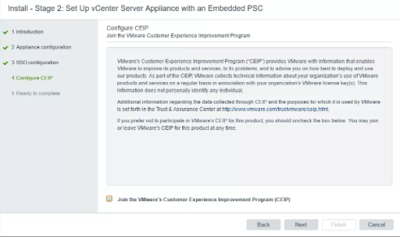 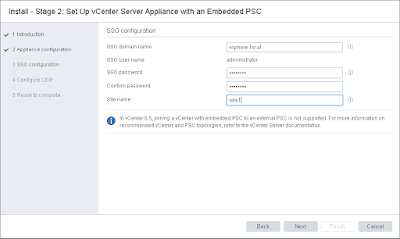 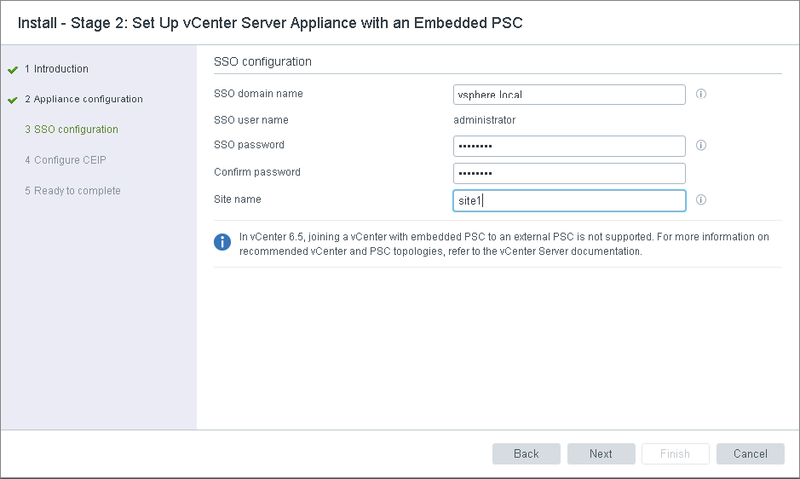 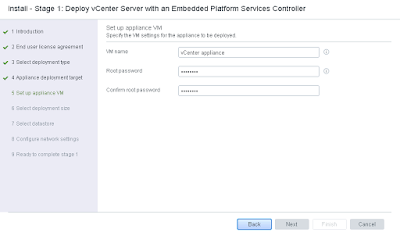 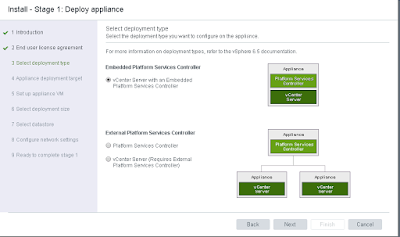 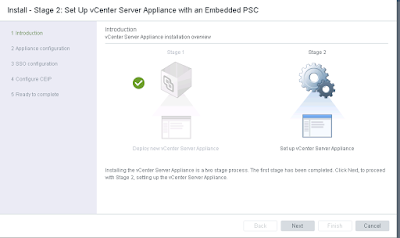 Dedicated this article to provide step by step guide to install vCenter Server 6.5 appliance to proceed further we need you the VMware-VCSA-all-6.5.0.iso available which can be downloaded from the VMware product download page and mount it on our machine and browse the content to looking for vcsa-ui-installer where we would be able to find three different folders lin64, mac and win32 which has been made available in vSphere 6.5 as part of vCenter Server 6.5 native UI installer for linux, mac and windows and has no dependency on browser. 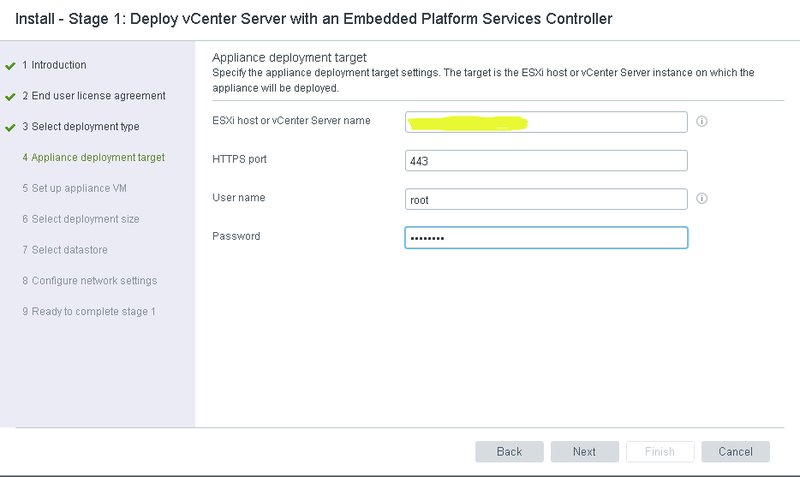 ** In my Home Lab environment proceeded further with win32 by executing installer.exe. 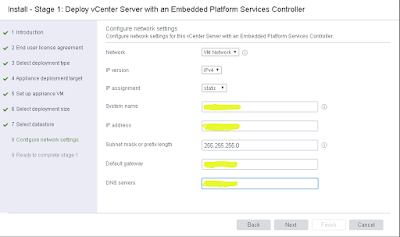 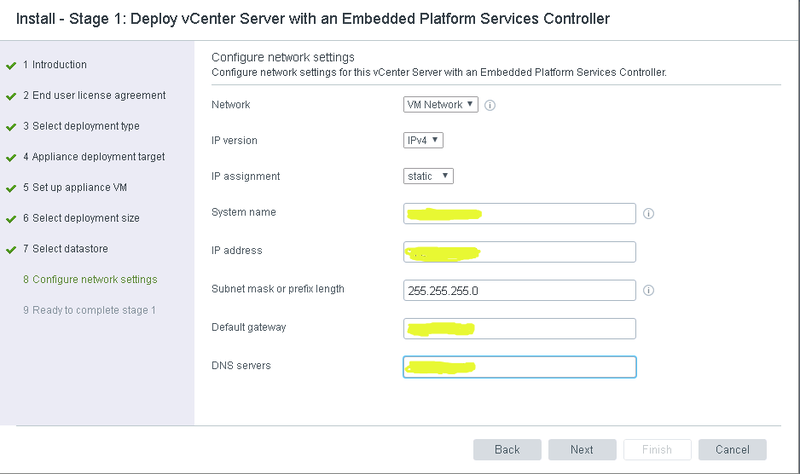 1) We can deploy vCenter Server with Platform Services Controller as a single appliance (embedded) or we can proceed further with the external installation wherein the Platform Services controller is deployed and then external vCenter Server appliance is connected to the platform services controller. 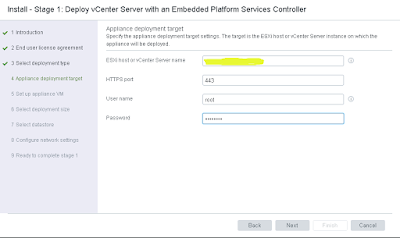 3) Once we have provided the details about the deployment type we need to provide the details about the ESXi host with username and password or we can also provide the details of the vCenter Server and then from the inventory loaded we can select the ESXi host on which we want the appliance to be deployed. 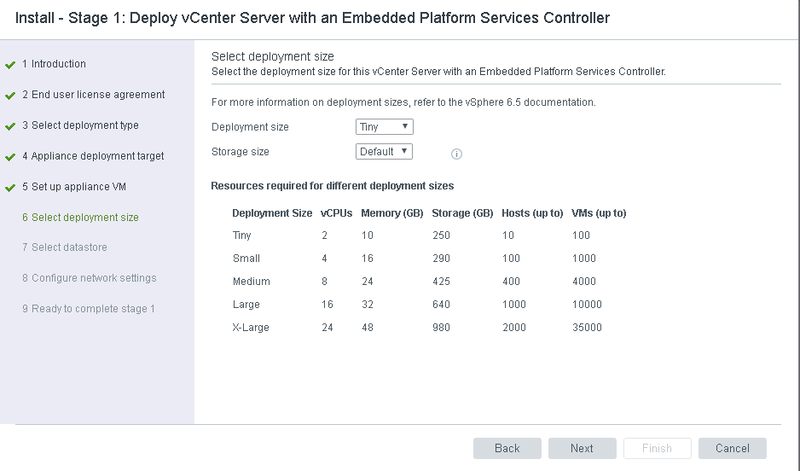 5) Next option in the list is to select the deployment size which can be selected based on the inventory size in this scenario i went ahead with tiny. 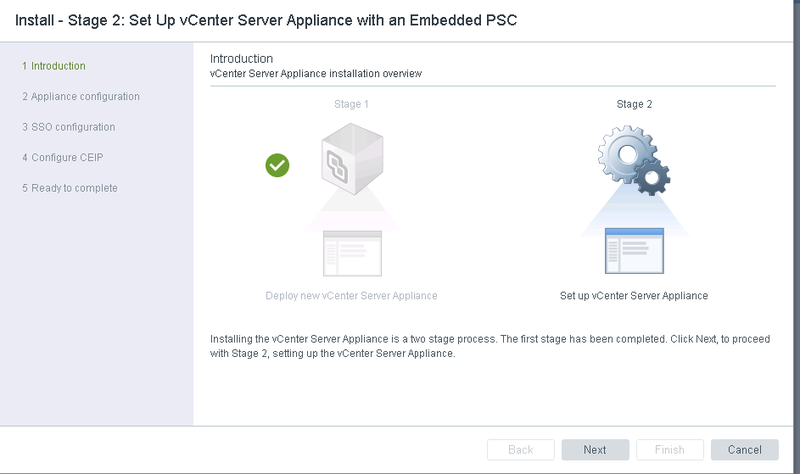 7) As we can see Stage 1 is completed where we have provided all the configuration details for the appliance it's time to configure the vCenter Server appliance in stage 2. 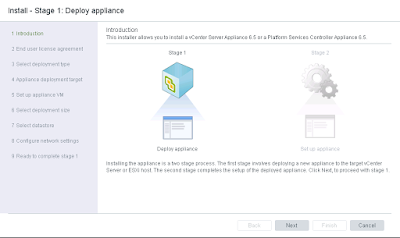 8) Stage 2 includes the SSO configuration details including the SSO domain Name username i.e administrator and the password. 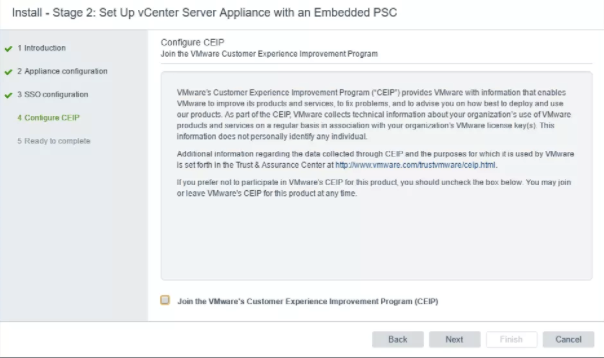 9) Configure CEIP (Customer Experience Improvement Program) which provides VMware with information that helps VMware to improve products and services. 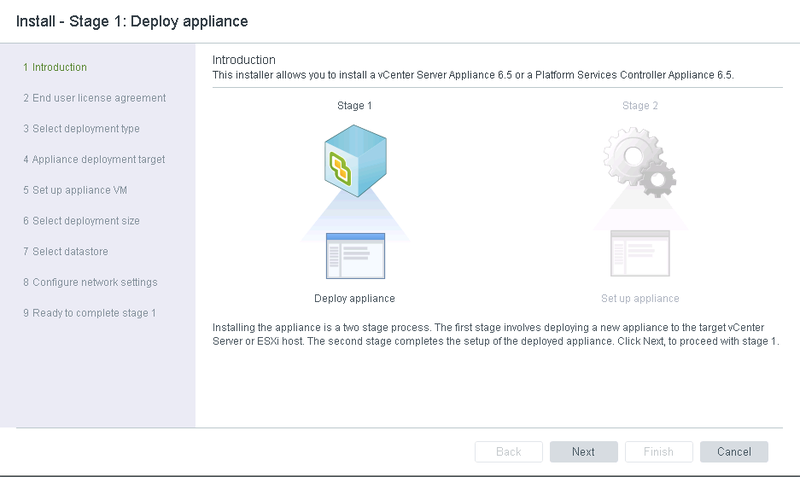 10) Last step as part of the installation is the quick summary of the complete settings we configured and we are good to go.